Classification leaching process equipment, single-stage leaching equipment: single-stage leaching process equipment is a leaching tank, it is the herbs and the solvent was added to the extractor, extract a certain time after the collection of leachate and discharge dregs of equipment, such as multifunctional extraction tank. Single stage leach leaching speed change is large, the initial speed is high leaching, the leaching rate reaches zero equilibrium leaching. 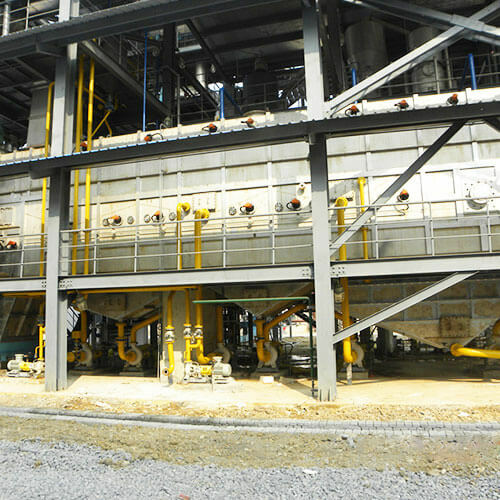 Multi-stage leaching equipment: multi-stage leaching process equipment consisting of a plurality of leaching tank, which is placed in the medicinal leach tank, a certain amount of solvent was added in tank leaching. Or a group of herbs were placed in the leaching tank, after addition of fresh solvent and the first leaching tank leaching into contact with medicine, the leaching solution is formed into a second leaching tank, and so on, can leach out of the final leach liquor concentrated such as multi-carboxymethyl countercurrent percolation device. Features multi-stage leaching process first, the effective use of solid-liquid two-phase concentration difference and improve the efficiency of the leaching, the second is less solvent consumption and can reduce the dregs of the leaching solution composition to absorb losses caused. Continuous countercurrent extraction equipment: continuous countercurrent extraction process equipment refers to herbs and continuous contact with the solvent leaching along the reverse movement in the leaching reactor, fed from the automatic and continuous slag etc complete equipment, such as U-shaped spiral extract , a flat rotary continuous countercurrent extraction and so on. Continuous countercurrent leaching process for dynamic leaching, solvent less, leaching speed, high propose efficiency, high leachate concentration, while the lowest energy consumption of the device.